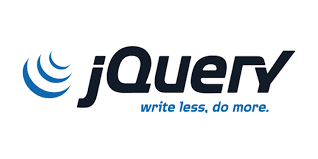 If you don't know anything about JQuery then Don't worry, This article will take you to the journey of basic JQuery concepts. So lets begin. 2. What is $ in JQuery? 4. How to use JQuery? 5. What are the JQuery features (Why to use it)? 6. What is JQuery UI? 7. Which are the performance responsive selector? 9. What is has() in JQuery? 10. Can JQuery parse XML? 11. Can JQuery Run on MAC or Linux instead of Windows? 12. When to use JQuery? 13. Which effects has inbuilt supported by JQuery? 15. Tell me something about JQuery debugging? 16. What is Method chaining in JQuery? 17. How to redirect a page using JQuery? 18. How to refresh a page using JQuery? 19. How to check if element is hidden or visible using JQuery? 20. What is difference in return false and preventDefault in JQuery? when we call return false, it first call e.preventDefault and then call e.stopPropagation which stop execution, where as e.preventDefault will prevent event to be bubbling up. 22. Which are the most common JQuery evens?